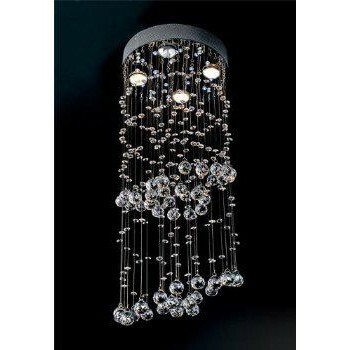 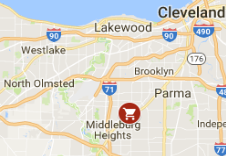 4-Light Crystal Chandelier, 12" x 29 1/2"
Diameter / Width (in): 12 Height (in): 29 1/2 ..
86"H 3-ARM ARC FLOOR LAMPMetal - Satin NickelLucite LED LightsMarble Base - Black4 Position Switch3 ..
Akoya Table LampFeatures:White with pearl finishRound ShapeCeramicDimensions:25.5"H..
Andres Glass Table LampTurn on the glam with this table lamp. 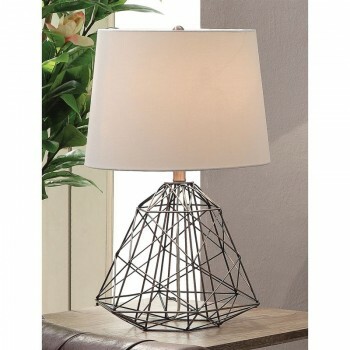 Its glazed finish and moody color evok..
Arc Lite Table LampThe LED Lamps have been designed specially to captivate, making them ideal for in..
31.5"H TABLE LAMPChrome Metal / Nickel FinishOn/Off Pull Chain Switch60W Max E26 or E27 Light Bulbs1..
Avant Copper Arch Floor LampThis Avant Copper Arch-Floor Lamp makes an elegant addition to a modern ..
Bash Floor LampFeatures:Collections: Private EventsDimensions: 72″ H.Finish: Brilliant SilverShade: .. 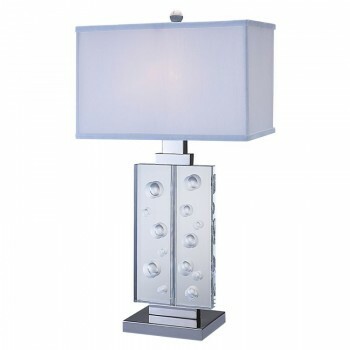 Finish: Brushed Nickel Shade/Glass/Material: Aluminum Number of Lights: 1 Type of Bulb: Halogen ..
25"H TABLE LAMPMetal - Black Nickel1 x 60W Max E26/E27 BulbOn/Off Socket SwitchShade: 12.75" x 15" x..
28"H TABLE LAMPChrome / White Ceramic3-Way Socket Switch100W Max E26 or E27 Light BulbCE319WT/SH: 17.. 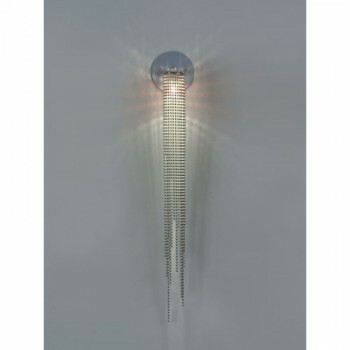 Bubble Floor LampThe lamp features a highly polished chrome finished base that rises up in the shape.. 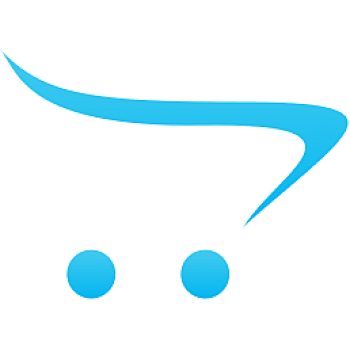 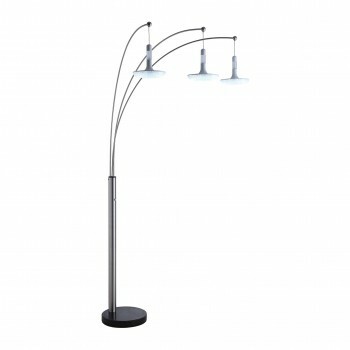 Bubble Table LampDimensions27"H TABLE LAMPDESCRIPTIONCrystal - Clear3-Way Socket Switch100W Max E26/.. 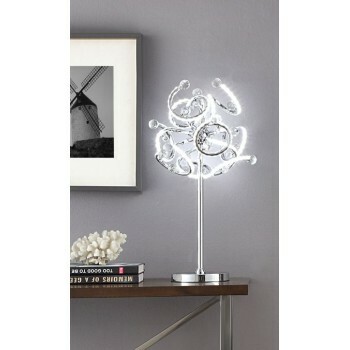 Bubble Table LampDimensions:23"H TABLE LAMPDESCRIPTIONCrystal - Clear3-Way Socket Switch100W Max E26..
Bulb Speaker Table LampFeatures:Black Nickel / Smoke Glass Remote Control Switch 6W LED Buletooth Mu.. 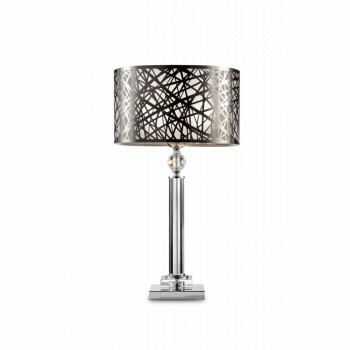 Chic Array Floor LampThe exquisite stainless steel shade creates a contemporary and stylish look for.. 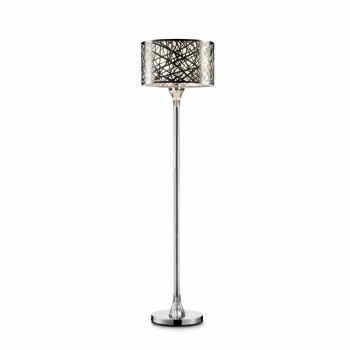 Chic Array Table LampThe exquisite stainless steel shade creates a contemporary and stylish look for..
25"H TABLE LAMPMetal - Chrome1 x 60W Max E26/E27 BulbOn/Off Socket SwitchShade: 12.75" x 15" x 11"H..
Clear Table LampFeatures:Crystal - Clear 3-Way Socket Switch Dimensions:15"/9.5"x15"/9.5"x10"H28.5"H.. 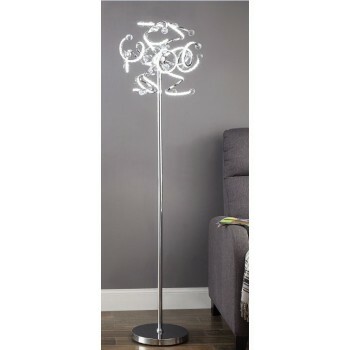 Cloud Floor LampThis whimsical floor lamp will be the statement light piece in any room you will put.. 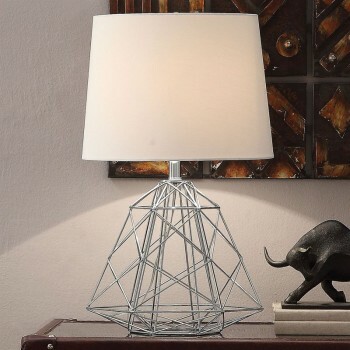 Cloud Table LampThis whimsical table lamp will be the statement light piece in any room you will put.. 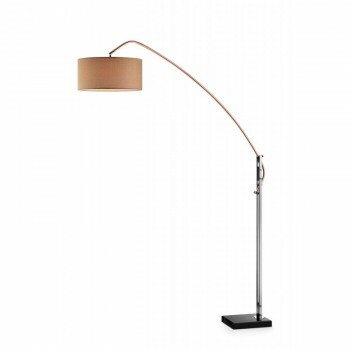 Concrete Table Lamp Features:Raw Concrete Stone Base On/Off Socket Switch 100W Max E26/E27 Bulb Dime.. 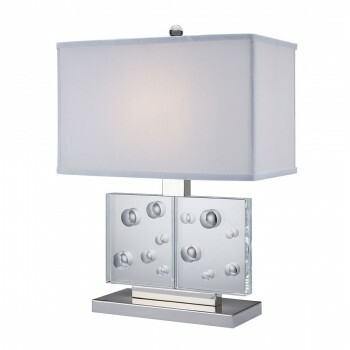 Concrete Table LampFeatures:Metal - Chrome w/Concrete Base 4-Way Socket Switch 3W LED Nightlight Di..